The San Jose Blog: San Jose's Cinequest Film Festival Voted Best in Nation!! San Jose's Cinequest Film Festival Voted Best in Nation!! A recent USA Today poll has named Cinequest as the best film festival in the country. The competition was steep with the likes of the Sundance Film Festival and South by Southwest Film Festival in the running as well. Currently serving over 100,000 movie lovers, Cinequest continues to grow both its attendance and its brand year after year. 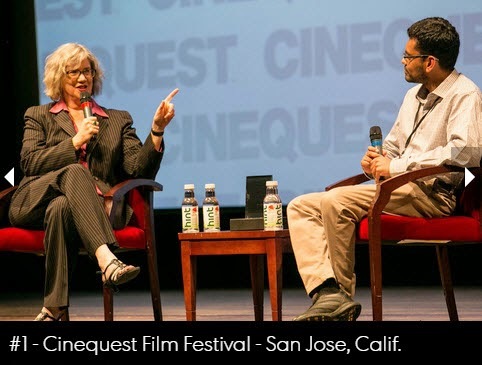 The team behind the festival has already vowed to make Cinequest 26 in 2016 the best one yet! Check out the full Top 10 US Film Festival list at USA Today.